By assembling the folk traditions of Bosnia and Herzegovina, the historian Vlajko Palavestra noticed that the memories of events and individuals from medieval Bosnia live even to this day. This fact especially applies to stories about Queen Katarina, which one can still hear among elderly people living in the vicinity of Kraljeva Sutjeska, Kreševo, Fojnica, Olovo, and other places in central Bosnia. Along with the legends recorded by Vlajko Palavestra, I will present some legends that have never been published before. 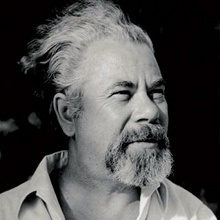 Vladimir Alaupović, a man of noble blood, who lives in the town of Vareš, started accumulating old stories, i.e. 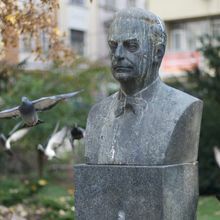 legends he would hear during his visits to the villages next to Vareš: Dragovići, Donja and Gornja Borovica, Pogarje, Vijaka, Pržići, and Majdan. Here are two stories emanating from those visits. One morning, Queen Katarina ordered her servant to saddle her horse, setting off towards the villages around Bobovac. Everyone wondered about that beautiful girl dressed in a white cloak on a white horse, but no one recognized her; finally, she arrived in the village of Očevje – the old blacksmith’s mine, or majdan – and entered the first water mill she encountered. When she saw the people living in such poverty, she gave to every child a single golden coin. The eldest inhabitants of Tarčin – a village between Sarajevo and Konjic – still remember their parents’ stories about a powerful spring named Katarina. The spring was named after Queen Katarina escaped from Kozograd and Kreševo to Ston, all the way through Tarčin and Konjic. As people say, the Queen stopped in Tarčin to water her horse as well as the horses of the forty noblemen who escorted her. From the time of that event, the spring has carried her name. In the fall of 1446 in a region between Zgošće, Sutiska, and Vareš, beside the Trstivnica and Stavnja rivers, there were rumors about the appearance of a good fairy. Dressed in white attire with gilded embroidery and covered in white fur, she was riding an untamed white horse. Shepherds talked about this after coming back to the village. They said she suddenly appeared from the forest as if sprouting from the ground; they were unable to run off and simply stayed, dumbfounded, where they were. The fairy came to the shepherds on horseback, inquiring about them and the situation in their houses. She wanted to know if the household members prepared enough food for the winter and whether or not they had enough hay for their cattle. She inquired about the harvest and crops, and about the diseases present among humans and cattle. In the end, she gave all of them some sweets that even the King had never tasted. In addition, Horvatić mentioned that children’s stories were confirmed by a certain old lady, who saw a fairy burst before her while she was carrying wood from the forest. The old lady talked of how one of her sons died while the King tried to defeat the invading Turks and her second son went to the seaside to try to earn some money. All of her daughters, on the other hand, married, so she is living alone. After setting out to one village, a fairy slipped a golden coin into the old lady’s hand and left. One day that same fairy appeared at the blacksmith shops on the river Stavnja, stopping at the shop of blacksmith Paul, asking him to shoe her horse. In the meantime, she asked him how blacksmiths live and in what way water helps them to run their shops. After Paul shod the horse, the fairy gave him a large sum of money. In olden days, as people say, the royal family resided inside of the Kreševo fortress. On Meoršje, the mountain on the south-eastern side of Kreševo, the King would thresh his own grain. After measuring the distance between the town and the aforementioned mountain, the Queen, wearing golden wooden slippers (nanule), would walk towards the King holding her son in one hand and warm pilav – the lunch for the King – in another hand. It is said that during the Turkish invasion of the Kreševo fortress, the people living in the gorges of the Kojsinićica and Vranjanka rivers surrounding the fortress, laid out thick hide. In doing so, they stopped both of the nearby streams. When the enemy approached the town, its citizens removed the hides they placed in the rivers and thus released gushing water, which drowned the enemy soldiers. During the occupation of Bosnia, Duke Radivoj (Tomaš’s brother) living in Kreševo was also the fortress commander. 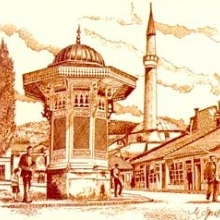 Reaching Bosnia, the Turkish Prince settled in the northern part of town, in the place called Carevišće, which is only one hour away from the town, and so, he rained down heavy fire upon the town. People say that the Prince had been trying to take over the town for seven years, unsuccessfully. At that time the Duke ran out of food supplies and džebana (war equipment), which forced him to launch a final assault. He then made the decision to load a donkey full of his remaining rice and placed the donkey inside of a cannon. He fired the donkey toward his enemies, who cut it open, finding loads of rice, the rice they arduously desired. And there it is: the Bosniaks flouted this event in a celebratory manner. This greatly angered the Turks and drove them to desperation; they decided to retreat and stop the siege of the town, when all of a sudden, a toothless old woman came to the Turkish army, telling them that the launch of the donkey was the final attempt made by the Duke. Upon hearing this, the Prince instantly turned back, occupied the town, and enslaved the Duke. She hesitated so much with her seventy horsemen that the Bosnians created a monument, containing four horseshoes carved into stone and a small hole that the Queen had hollowed out with a stick. When forced to leave Bobovac before the invasion of the Turkish army, Katarina said she would never forget the villages Dragovići and Mijakovići, for her married daughters Dragica and Milica were there, and so was her Liješnica wheat, her Bukovica fish, and water from the Radakovica river. And the wheat from Liješnica. According to folk tales, the hill Vis on Bobovac, containing the remains of the castle and northern bulwark of the town, is an entirely artificial dike. It was made in only a single night, for the purpose of protecting Queen Katarina, in the main castle-tower, from the Turkish cannons firing from Meteriz. How fast and strenuous the people worked to make the embankment is proven by the following: “that night, seventy-seven pregnant women had a miscarriage, and seventy-seven mares brought forth a colt.” Once Queen Katarina realized she could not defend the town, she requested from the Turkish commander to allow her to leave with all of her belongings and wealth, but actually it was the amount she could load on fifty horses. In the vicinity of the village of Višnjica, near Visoko, above the confluence of the Zenika and Rijeka streams, there exists the remains of a medieval fortress that allegedly belonged to Queen Katarina. The water from the mountain Čemernica would be brought into town on rowboats. The Queen had a herd of sheep on that same mountain, and when the Turks besieged the town, shepherds from Čvrsnica stopped the delivery of water to the town and instead sent milk on rowboats. When she reached the town of Jajce, she had to go back because Jajce was also under seige. She decided to shoe her horses in a reversed way, placing the circular part of the horseshoes on the back of the horses’ feet. This led the Turks, who were following her, in the wrong direction, however, they still managed to capture her children and convert them to Islam.